CLEAN TITLE CERTIFIED! Reviews: * Where some compacts feel light and flimsy, the 2013 Chevrolet Cruze exudes a feeling of solidity and strength. Those seeking maximum fuel economy will likely be impressed by the Eco model''s 42-mpg EPA highway figure. Source: KBB.com * Handsome interior design; Eco model''s high fuel economy; useful electronics interface; secure handling; top safety scores; big trunk. 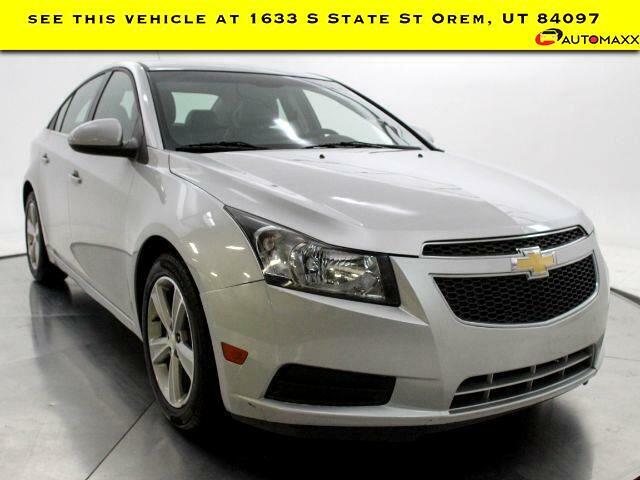 Source: Edmunds 2013 Chevrolet Cruze 2LT Awards: * 2013 IIHS Top Safety Pick --- All vehicles come with a 12 month/12,000 mile Powertrain WARRANTY for your PEACE of MIND! --- www.utahautomaxx.com --- 801-224-3933 Se Habla Espanol.